Digiday Publishing Summit Europe 2019 in Milan is one of the DiGiDAy’s series of digital marketing & social media conferences, which is hosting over 50 events on four different continents and bring together over 10,000 media and marketing professionals in 2018. Digiday is considered to be one of the biggest companies and agencies that organize a great series of events, which focus on all the digital marketing fields, including content marketing, search engine optimization (SEO), search engine marketing (SEM), publishing, marketing strategy, and social media marketing. 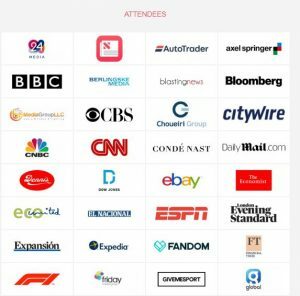 Digiday Publishing Summit Europe 2019 will bring great opportunities for all attendees as they will hear how publishers are building successful consumer revenue products, halting the attrition of (and growing) their ad revenue and rethinking the ways that they reach their audiences. It is considered to be a great chance to learn from industry leaders through smart, honest discussion and develop meaningful connections with senior executives. Digiday Publishing Summit Europe 2019 is a three-day event, where attendees will explore how media owners across Europe are building products to monetize audiences, sifting through data and incorporating insights. This year’s conference will take place from 5-7 of March 2019 at Excelsior Hotel Gallia, Milano, Italy. Unparalleled Buying Power And Partnership Possibilities: C-level Leaders. Senior Decision-makers. Buy-side Influencers. These Are The People That Come To Our Summits To Collect Winning Strategies, Explore New Technologies And Gain Reliable Service Providers And Partners. The Collective Buying Power Is Worth Millions, And In Some Cases, Billions. 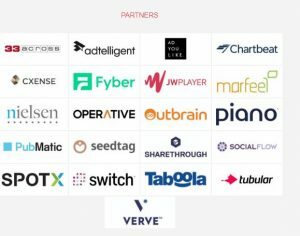 One-to-one Meetings With Senior Buy-side Executives: Every Summit Guest Is Eligible To Take Part In Digiday’s Signature 8-minute Meeting Sessions: A One-on-one Meeting Between You And The Buy-side Execs And Decision Makers In Attendance. It’s Simple—you Have Eight Minutes To Make Your Pitch, Then Move On To Your Next Meeting. By The End Of The Hour, You Will Have Hopefully Landed New Business. Actionable Insights From Leaders You Can Trust: Summit Speakers Are Those Carrying The Torch In Media And Marketing. Their Expertise Is Backed By Dependable Research And First-hand Experience From Their Work With Today’s Leading Companies. And They’re Ready To Tell You The Truth—even If It’s Uncomfortable. So Be Prepared To Walk Away With Actionable Intelligence Offered To Help You Future-proof Your Business And Scale Your Impact Across The Digital Landscape. Intimate, Solution-oriented Working Group Sessions: We Tackle Whatever Challenges The Industry Might Be Facing Head On With Intimate, Close-knit Working Group Sessions. Led By Our Speakers, These Sessions Allow Attendees To Discuss Potential Solutions To The Problems Their Teams Could Be Facing Now Or Down The Road. Important Questions Are Answered. Thoughtful Conclusions Are Drawn, Rich With Insights And Strategies To Push Forward With. And A Few Valuable Connections Are Always Made In The Process. Networking Opportunities That Double As Destination Experiences: Digiday Summits Take Place All Over The World—from Vail, Colorado To Barcelona, Spain. Summit Attendees Have The Chance To Enjoy The Local Scenery, Flavors And Customs Of A Conference Destination Through The Dinners And Hangouts We Have Scheduled Around Town. That Means That Our Attendees Have An Even Better Chance Of Forming Deeper, More Meaningful Relationships With Other Attendees In The Shared Exploration Of New Locales And Destination Hotspots. Location Excelsior Hotel Gallia, Milano, Italy.